Create and Decorate: Kids’ Room Ideas with Wikki Stix! Kids love to decorate items in their own rooms; not only does it allow for individual expression, but it is a “rite of passage” as kids develop and grow. With the Wikki Stix Create and Decorate Kit, kids can have fun while creating a room that expresses their own individuality. Create and Decorate: Kids’ Room Ideas! 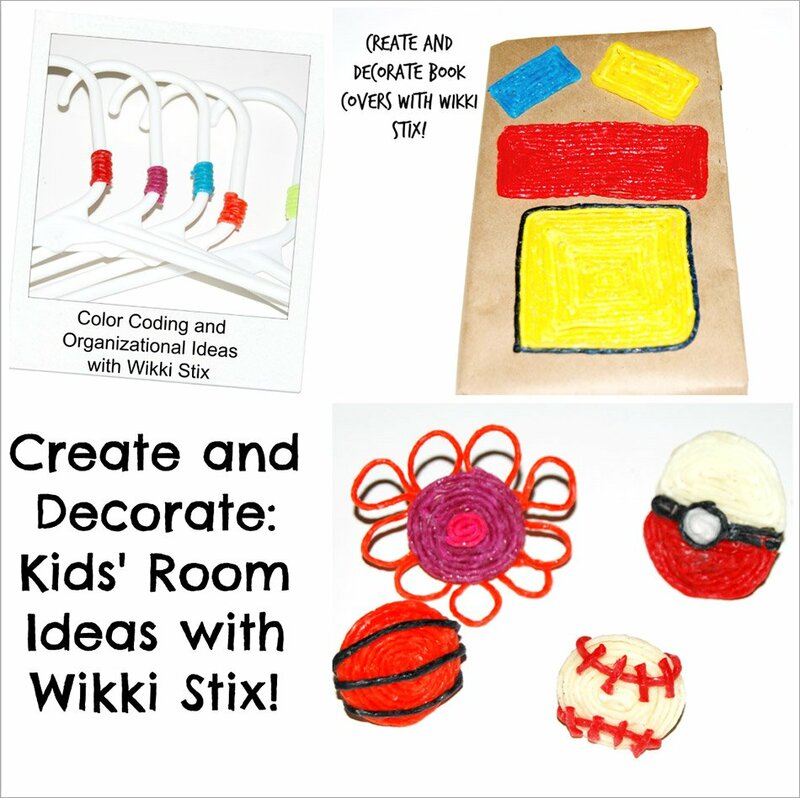 With the new Create and Decorate Kit from Wikki Stix, kids can design and decorate items in their room or even use Wikki Stix for practical and organizational uses! Wikki Stix can be removed from any hard surface and reapplied to create endless possibilities for creative fun. Drawer Pulls and Knobs – Kids can decorate drawer pulls and knobs with Wikki Stix. Make Wikki Stix basketballs with orange and black Wikki Stix – press the Wikki Stix created basketballs firmly to any round knob. 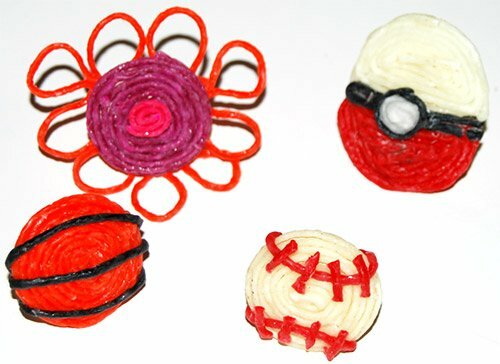 Make baseballs with white and red Wikki Stix – press firmly the created baseballs to round knobs. Kids can design any color or size of flower with Wikki Stix to adorn dresser pulls. Add a green Wikki Stix “stem” and wrap around the pull. For Pokémon fans, kids can create Poke Balls with red, white, and black Wikki Stix to decorate the dresser, door, and drawer or closet knobs in their rooms. Book Covers – Kids can use the Create and Decorate Kit to design special book covers. Simply wrap books in any kind of paper to encourage kids make their own book cover designs. Closet Organization – If your child’s closet (or your own) needs some organization, try a color coding system with Wikki Stix! Color coding hangers is a great visual for kids while saving time (and meltdowns) on busy mornings. Use a different color of Wikki Stix (wrap around the top of the hanger) for pants, shirts, dresses, outerwear, spring jackets, or active wear. 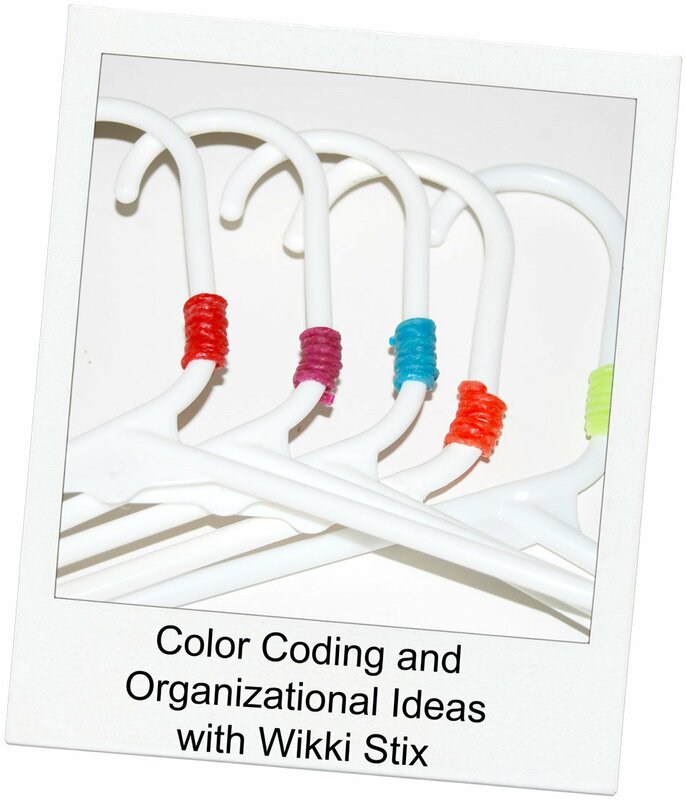 Use corresponding colors of Wikki Stix to sort colors of clothing. Wikki Stix comes in a rainbow of colors to accommodate the colors of clothing in a closet. Do your kids share a closet? Use various colors of Wikki Stix around hangers to differentiate between each child’s clothing. Are your kids between sizes? Use colors of Wikki Stix to help differentiate between clothing sizes. It helps eliminate shuffling through clothes on rushed mornings. 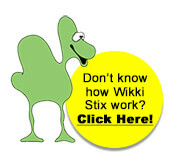 Use a different color of Wikki Stix for each day of the week. For example: Monday’s outfit is coded in green, Tuesday’s outfit is coded in red. The colors will help kids choose their own clothing with the visual help of the Wikki Stix colors. Wikki Stix can be easily removed and reapplied to the hangers as desired. It’s a great system for helping kids be independent and organized. 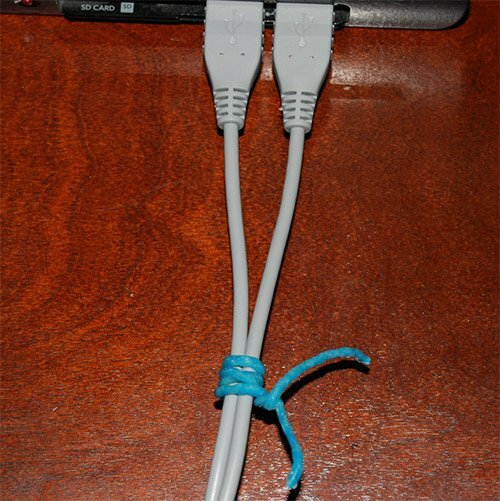 Tech Ties – Wikki Stix is also a great for tying tech cords together. Try Wikki Stix for phone cords, TV cables, game systems, lights, long blind cords, or for other cords in kids’ rooms that need to be organized or held together for safety purposes. 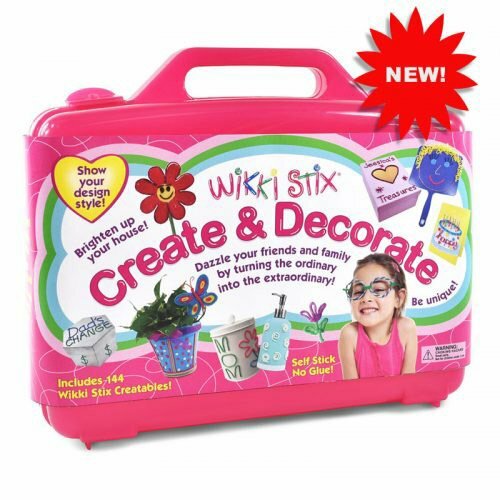 With the Wikki Stix Create and Decorate Kit, kids are limited only by their own imaginations. 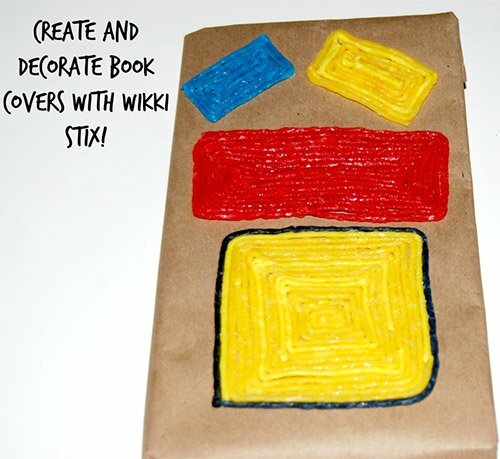 How will your kids express their own creativity today with Wikki Stix?